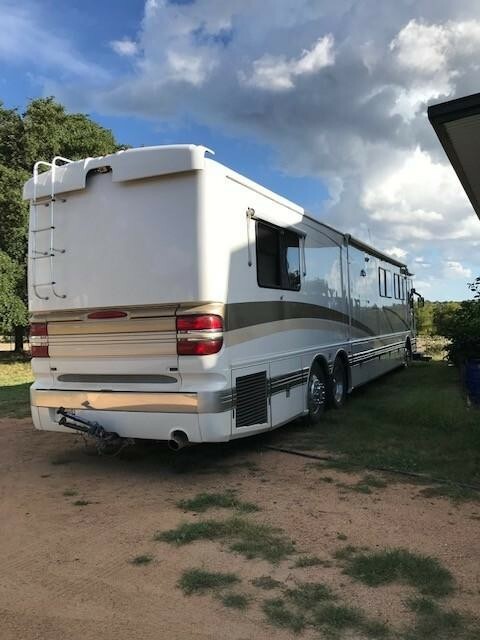 2000 American Heritage Motor Home, The Flagship of the American Coach line. This 500 Horsepower Tag Axle coach is gorgeous, runs and drives perfect. It will take some time to describe the details of this rascal so I will have a go at it when I have more time. Call me if you just can’t wait. I have had this coach for a few years and have taken a number of trips in this palace on wheels and it is THE way to travel. We took it to the Indy 500, had a blast and will have it there again next year if it is still here then.